Since we’re on the topic of the importance of ballet…we thought we’d give a little ‘luv’ to one of our ballet directors, Mr. Jay. Jay Kim earned his MFA on full scholarship with an emphasis in Teaching and Choreography from the University of Utah as a Graduate Teaching Assistant. He earned his BFA on full scholarship from the Sejong University, in Seoul Korea, with an emphasis in Ballet, Contemporary, Modern, and Korean National Dance. Jay received his fundamental training from the Kirov Academy of Ballet in Washington D.C. and the Dance Arts Institute in Kwang-Ju, South Korea. Jay is an Associate Instructor at the University of Utah Department of Ballet where he previously served as a Graduate Teaching Assistant. He has served as Ballet Faculty at the Academy of Nevada Ballet Theatre, Director of the Metropolitan Ballet Academy and Theatre, Adjunct Faculty at the Sejong University, and Director of the Art Ballet Center in Seoul, Korea. His choreographic work Elegy was commissioned at Oakland University’s Great Lakes Dance Festival where he served as Guest Teacher instructing Technique, Choreography, and Performance. Jay’s professional dancing career spans across 12 years and 13 countries on major stages of the world including America, Austria, Canada, England, France, Germany, Greece, Hungary, Italy, Japan, Korea, Spain, and Switzerland dancing as a Soloist with Universal Ballet Company of Seoul, Korea for 8 years, a Principal with Korean Ballet Theatre for 4 years, ensemble with Dayton Ballet Theatre for 1 year, a guest artist with Korean National Ballet Theatre, and numerous Principal Guest Artist engagements throughout Korea and America. 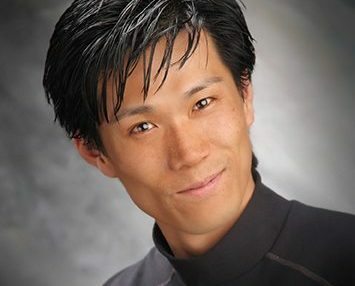 Jay has been awarded 2 Grand Prix and 7 Gold Medals in national dance competitions where he earned top medals in Ballet, Contemporary Dance, and Korean National Dance categories from 1989-1998. Throughout his career Jay has performed a repertoire of over 40 ballets including 15 full lengths, 20 ballets, and 8 Balanchine ballets. He was featured in over 12 media works which highlights include a dance review in the New York Times, a book feature in Dance in Korea, featured articles in Dance and People, Dance Forum, Madame Figaro and Debebe magazines, and a 30-minute live television talk show appearance on Arirang International Television Station’s program Heart to Heart. Jay has staged over 30 ballets of the classical and contemporary repertoire. His choreographic works include Elegy, Metamorphosis, and The Human Experience that incorporate the use of multimedia and art installations. Jay is thrilled to work at Luv 2 Dance with its great students and staff.